Built in March 1998. 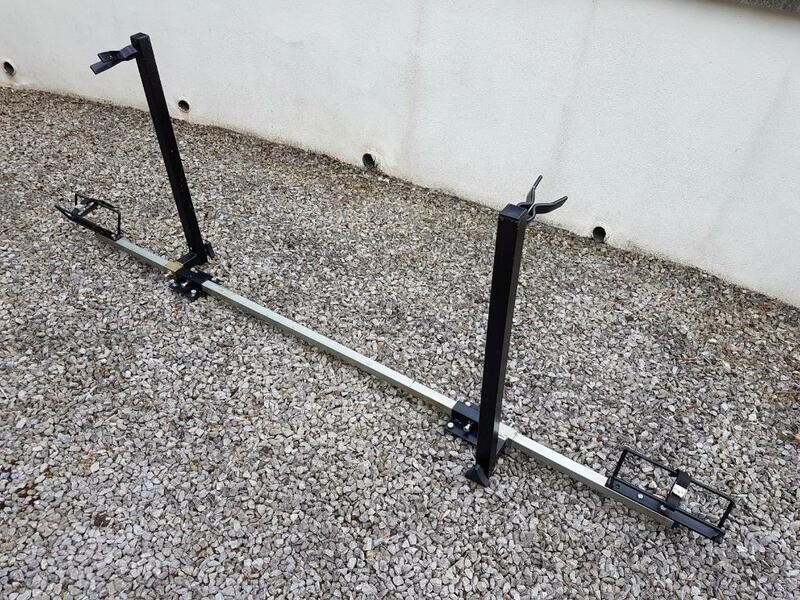 Not used for last 10 years, been stored in our garage. Looks really good but I recommend you buy 2 new tyres as the rubber is probably 10-15 years old now. Some minor scratches and scuffs and a small dent on one of the back rack downtubes. 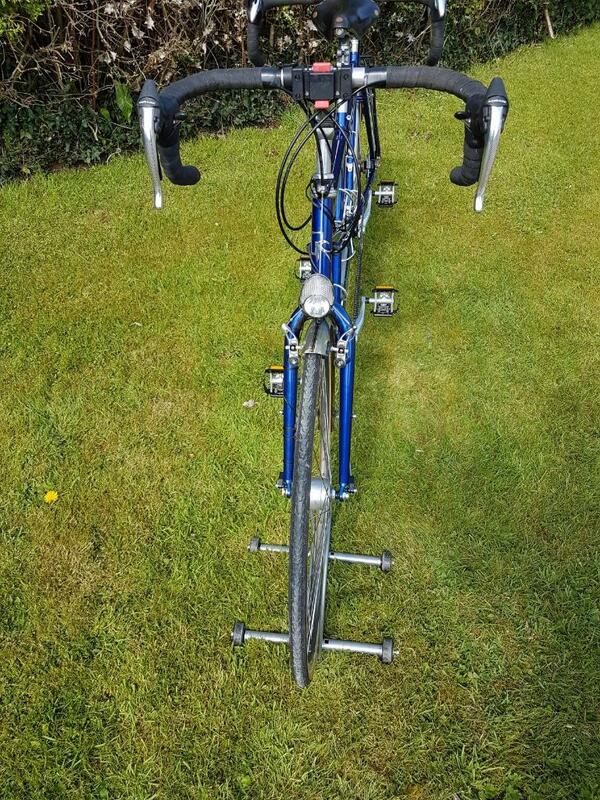 The mudguards show slight discolouration on their ends. 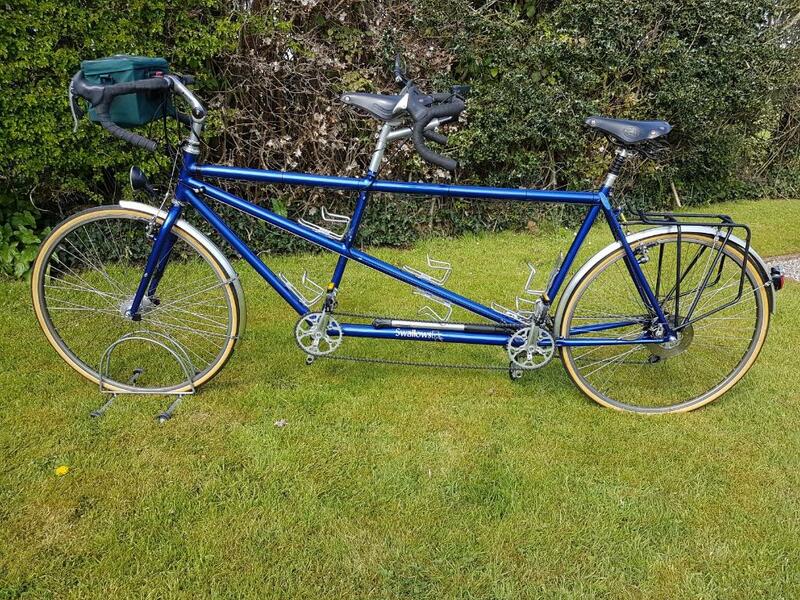 We have had some great times riding this tandem, but we are too old and unfit to use it properly any more. 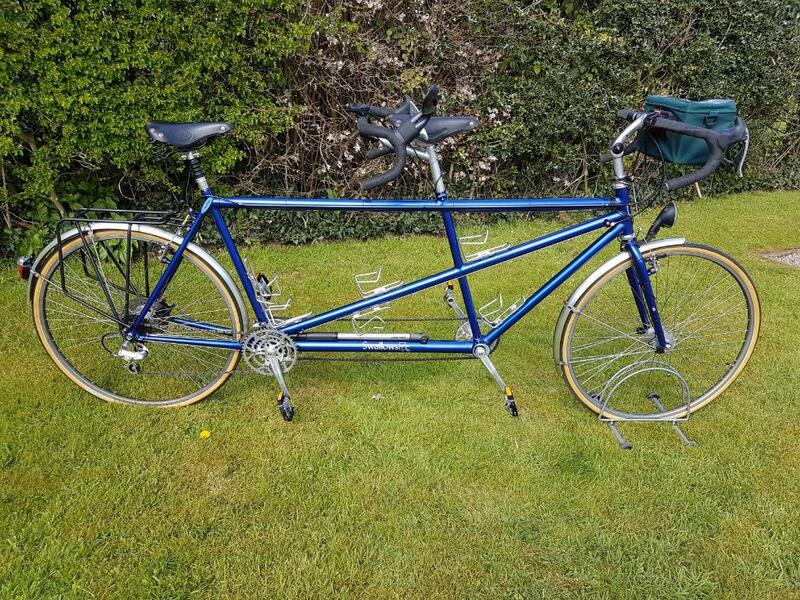 We are down-sizing so sadly the tandem has to go, hopefully to someone who will get as much pleasure from riding it as we did. A homemade extractor which I think was for the cassette? !